As first time home buyers, we had no idea about the process on buying a house. After our first meeting with Andrew, we immediately felt assured and that our needs were going to be met. He sat down with us for more then 2 hours explaining everything. The best part was Andrew was able to find us our first home way under out budget, with more upgrades and rooms then we even expected. Thank you Andrew, you truly are amazing at what you do. Andrew was truly amazing, his attention to detail, staging of our home and the whole offer process was seamless. We were hesitant when he wanted us to remove all our furniture for the staging, but after seeing the end result and the impact it had on our sale price, we were ecstatic. I recommend Andrew to anyone looking to sell or buy a home. He will be there every step of the way. Danny is truly incredible! I will recommend his services to everyone I know… He made one of the most stressful experiences (Buying / Selling a home) absolutely seamless. Even in a slowing market Danny was confident he would get us top dollar and he did. He spared no expense to ensure our house was staged properly to show at its finest, worked around the clock and was always available. He took the time to get to know us, our family and has now also become a good friend. This is the first testimonial I have ever written – and is well deserved. Thank you Danny!!!!! Danny is the ultimate professional in the real estate industry. His level of attention to detail and follow-through is very impressive. He is extremely knowledgeable not only in the local market, but in what is occurring on a regional and national basis. Always available for calls and personally present for every important meeting, Danny makes you feel as if you are his most important client. Couldn't have asked for a better realtor when I was selling my home and buying a new one! Thank you Danny!!! 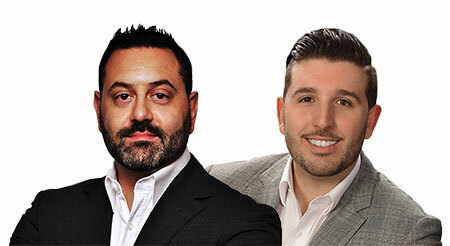 I recently had the pleasure of working with Danny Abballe to sell my condo. I was anxious about the whole process but once I met with Danny, my anxiety melted away. He covered all the steps in the selling process, answered any questions I had and took care of every detail down to the smallest point. If you are looking for a smooth selling process with someone who truly cares about what is best for you, I strongly recommend you work with Danny! Danny successfully executed the staging, and sale of my home in November 2016. The whole process from start to finish was seamless and super easy. I highly recommend Danny because of his vast knowledge, excellent negotiating abilities and attention to detail. I look forward to working with him in the near future to purchase the home of my dreams.